Reverse the signs of sun damage? Reduce skin redness and/or rosacea? Laser based and light based technology which improves your skin appearance super quick and easy using IPL (intense pulsed light). The light based advanced technology effectively targets undesirable brown spots, sun spots, blue/red facial veins and helps you reveal a clearer, radiant, beautiful skin! Why does one need IconTM skin revitalization/photofacial/IPL treatment? The answer is because everyone desired to have flawless skin! Uneven skin tone is a very common aesthetic concern especially as we all age. If you are a sun lover or have an active lifestyle out in the sun, you need this. Save your skin now. Years of unprotected sun exposure will result in brown spots, freckles, sun spots. It will also give you unwanted vessels around your nose or even rosacea on your cheeks or full face. What is IconTM utilizes optimized pulsed light technology? It’s a gold standard treatment uses many wavelengths of light with special filters to deliver the best wavelengths to treat your specific concerns. The laser handpiece will glide over the area to be treated. 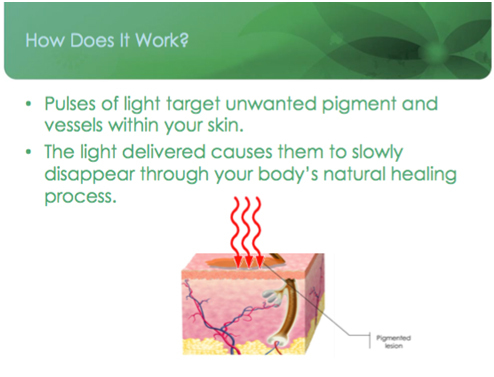 It will deliver specialized pulses of light into your skin and target brown spots, sun- damage and vessels without causing harm to the surrounding skin. How does my face respond to IconTM skin revitalization/photofacial/IPL treatment? The target spots on your face will absorb the energy from the handpiece and will be slowly destroyed and begin to disappear over the next 4-7 days. Your brown spots may turn darker in color and flake off over the next few weeks as well. What to Expect on the day of treatment? Please come in and be ready to remove your make up. Dr. Avaliani will clean your skin with alcohol and will take appropriate photographs before the start of the treatment. Protective eye wear will be supplied for your treatment, followed by an application of special gel to help laser energy to target the special spots on your skin. How does IconTM skin revitalization/photofacial/IPL treatment feel? In the beginning, you will feel cooling while the handpiece is gliding over your skin, followed by a rubber-band like snapping sensation with laser light seen. Once the handpiece is moved to another area of the face, you might feel a warm sensation immediately after where you just had your treatment. How long does Icon skin revitalization/photofacial/IPL treatment last? The answer depends on the area of concern. It can be as little as 5 minutes up to 30 minutes. What should I expect after my IconTM skin revitalization/photofacial/IPL treatment? The gel will be removed and your skin cleansed. 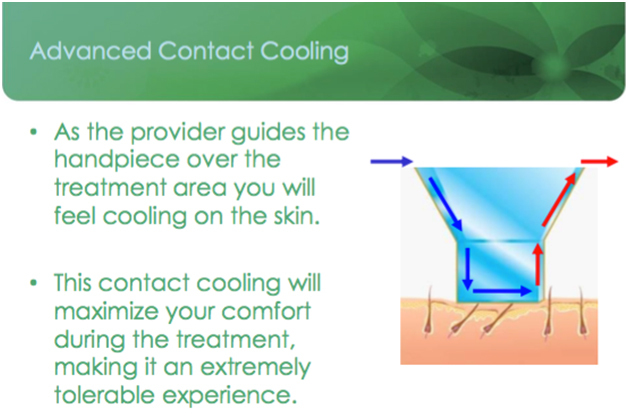 Followed by a cooling and moisturizing treatment to help your skin feel better. What is the downtime after IconTM skin revitalization/photofacial/IPL treatment? Few days after treatment one may feel like having a mild sunburn. There isn’t much of downtime and you can resume your normal day to day activities immediately following treatment. What skin areas can be treated with IconTM ? What type of vessels can be treated with IconTM? 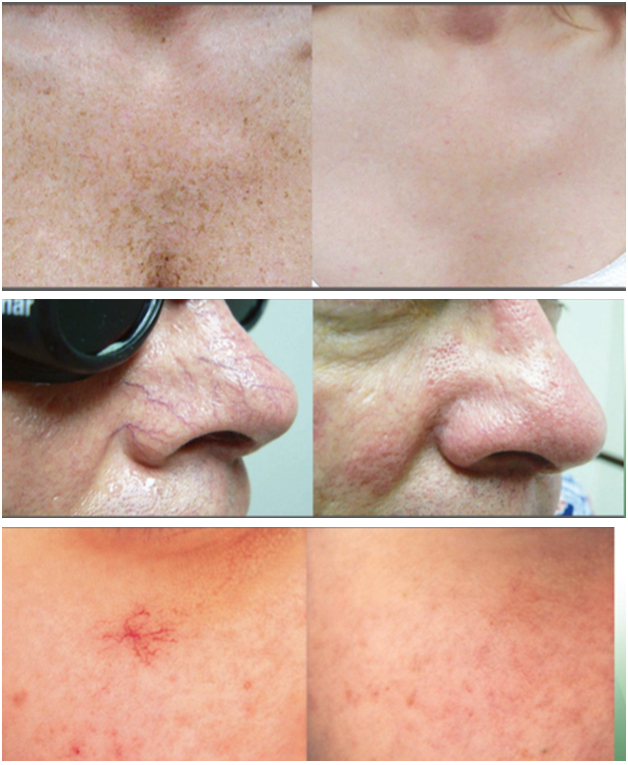 IconTM is designed to treat spider veins and broken vessels on the face, neck, and some other areas of the body. How many IconTM skin revitalization/photofacial/IPL treatments does one need? How far apart are IconTM skin revitalization/photofacial/IPL treatments? Treatment sessions are typically scheduled 4 weeks apart. How much does the IconTM skin revitalization/photofacial/IPL treatment cost? Treatment costs depends on the size of the area to be treated. They can start as little as $150/per treatment and various options are available. What are the most common side effects after IconTM skin revitalization/photofacial/IPL treatment? Am I a good candidate for IconTM skin revitalization/photofacial/IPL treatment? IconTM can be safely used on most skin types. 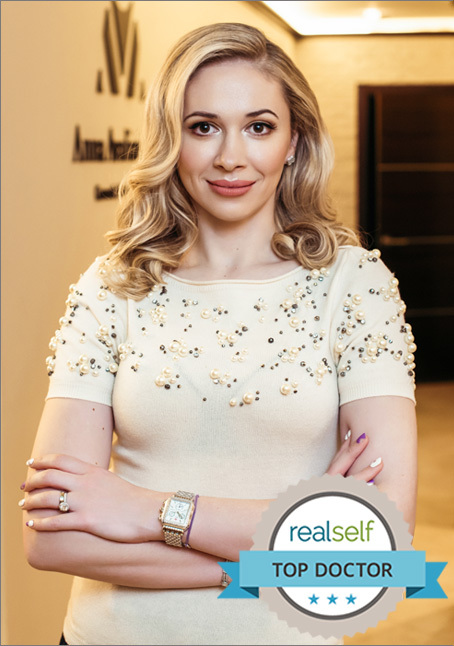 During your consultation with Dr.Avaliani, she will determine if you are a good candidate for the procedure based on a variety of factors like skin type, exposure, medical history, etc. Do not hesitate to contact us to begin your journey reveal your best skin!